During the initial setup, you are asked to choose a business type. If you choose Managed Services (MSP) the POS tab and the Progress Bar on tickets will both be hidden. If you choose Cell Phone, you'll have access to a short new ticket creation page and also to our canned Cell Phone repair Ticket Custom List. 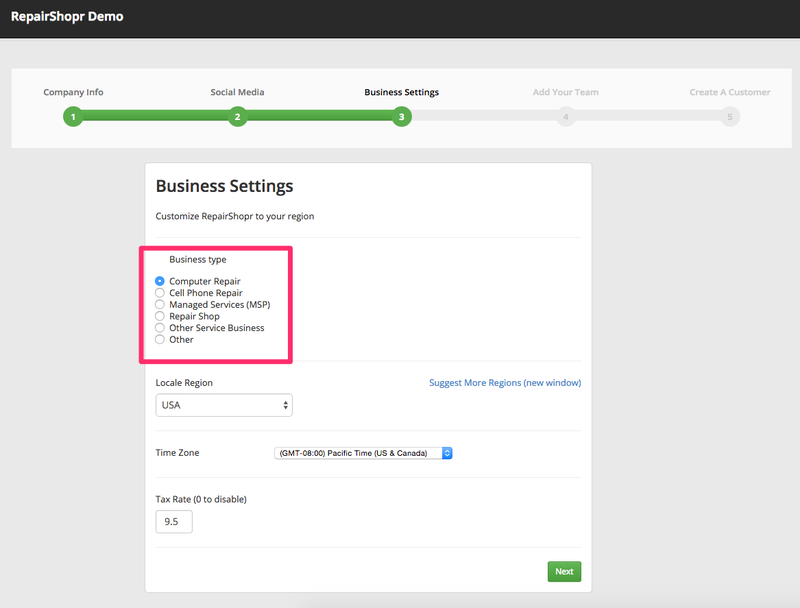 If you would like to return to this page after initial setup to switch to a different business type, you can do that by navigating to Admin > Initial Settings Wizard and then proceed through the steps until you reach step 3.